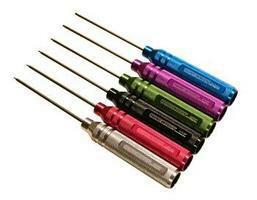 Shop online for 114 precision screwdrivers at discounts up to 90%. MIP is ranked #1 out of 14 precision screwdrivers manufacturers, followed by Tamiya, and Associated Electrics. 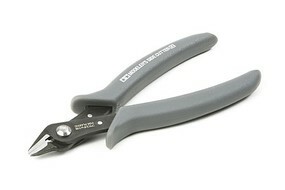 This is a pair of 4-7/8" Side Cutters from Tamiya. 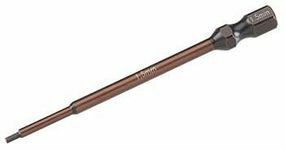 This is the Factory Team 2mm Hex Driver Bit from Associated.:. 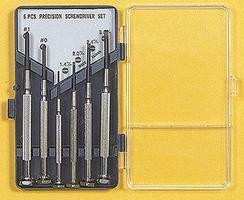 This is the Factory Team 1.5mm Standard Hex Driver Bit from Associated.:. This is the Team Integy 6-Piece Progrip Hex Wrench Set. This is a Ti-Nitride Hex Wrench set from Team Integy. This is a #2 Large Phillips Screwdriver from Tamiya. This is a Complete 29 Piece Racing Tool Set with Pro Carrying Bag from Team Integy.